To understand the following tale, I recommend that you, good reader, give me a bit of leeway as you glance over these awkward sentences. In trying to express my thoughts, feelings, and ideas, I ask for forgiveness if I veer far from the rational, logical mind of Western thought. You see, the moment I got off of the plane in Paro in March 2010, I recognized the “state of great equilibrium” that exists in Bhutan. At the time, I was simply not aware enough to understand what was happening. Stepping onto the tarmac from the rear door of the Druk Air plane, I was overcome with a feeling or experience I never had before. As I have said before in other posts, something is here, in Bhutan, that I have not found elsewhere. Walking across the tarmac into the terminal building, a sense of wonder engulfed me. I was, quite honestly, in awe. The experience of those first few moments washed over me and, at the time, I had no previous experience to put those few moments into context. I was overwhelmed. AS you can tell, I am still attached, in a way, to the experience itself. And, if you read the quotation above, you noticed that Dudjom Rinpoche said specifically NOT to attach to those feelings or thoughts. The thing is, it’s hard not to be attached to these experiences. It’s a kind of bliss in the moment. What I think is going on in Bhutan is the deep connection to Vajrayana practices and a whole country focused around many of the principles of that practice. Carl Jung wrote about a “collective unconscious” that humans shared certain archetypes or experiences. While I am no expert in Jungian psychology, that notion came up when I had the chance to think about my experiences in Bhutan after that first trip. Is it possible that, in Bhutan, a kind of collective unconscious permeates the place and is held by the people in the country? Is it possible for someone to tap into such a set of thoughts and emotions (Jung would probably say they were not even thoughts)? As I ponder the notion that being on the tarmac in Bhutan in March 2010, that I spontaneously experienced some contact with Bhutanese collective unconscious is laughable on its face. If I presented such an argument to folks in some academic institution, I’d be quickly hurried out of the building! And yet, there is was. A moment in time etched in my psyche. The thing is, if that moment simply faded away, I wouldn’t be writing these words today. Because, and here’s the thing, over the course of that trip and each of the other trips I have taken, the pattern is repeated regardless of whether or not I visit the same places or become more familiar with the people and cultural structures of the communities we visit. You would think it would get old; right? I mean, visiting places again and again might wear down that uniqueness of sense of wonder. That change has not happened. OK, so what am I saying here: that Bhutan offers an example of that “state of equilibrium” on a national scale. That the attempt to extend and establish GNH (Gross National Happiness), for all its successes and failures, emphasizes exactly the kind of idea that Dudjom Rinpoche was talking about; balance. I have even heard people express this idea to me directly: “Life is hard sometimes, and sometimes I have to get a ride or drive hours for work. But that is part of life. I send money home to family and take care of my children, and we all work on being happy even with the hard life we have.” I wrote this quote down soon after this person said it to me….the idea that life is tough and we can find the “silver lining” or “happiness” even in the face of difficult circumstances. And yes, that sentiment is not unique to Bhutan or people in Bhutan and I’ve heard phrases like that all my life. So, what’s the difference? That thought is actually how some people I have met live. Based on my anecdotal evidence, something in the society and culture is based on that deep truth. Am I too deep in it right now? Hmmm. Maybe so. I guess what I’m doing is grappling with experiences and their ultimate meaning. Since I’m the one writing about all of this doo-dah, you’ll just have to either read along with these tortured thoughts….or not. It’s a warm, early June day. The sky is crystal clear in Bumthang with white, billowy clouds dotting the expansive space over our heads as we walk along a dirt road headed to Kurje Lhakhang. The dust rises from underneath our feet as we trod a dirt road following the Chamkar Chu river. We started this short trek just a mile before, walking toward the east, headed toward a suspension bridge above the river. The mood is lively as a couple of students run down the road, seeing the bridge in front of them, eager to be the first to cross. A slight breeze crosses our path as we walk and the heat starts to build. Beads of sweat appear on my brow and I wish I had worn a short sleeve shirt; why did I choose the polyester collared shirt on this day? As I walk, I take pictures of houses, landscapes, students, flowers, and the river. I pull up the rear (my spot on these recent hikes) and arrive at the bridge with most folks already across. I step onto the swinging expanse as the breeze is hitting its height, the bridge slowly swinging side to side over the rushing river below. Covered in prayer flags, the wind whips these small cloth tiles. I pause at the middle and look forward and back; students are already walking down the dirt road on the other side toward the temple grounds. Below the bridge toward the Kurje temple grounds, standing on a large rock in the river, is a woman, washing and cleaning clothes. With a bucket mixed with soap and water, she puts one piece at a time in the bucket, scrubs the clothes with her hands, and then rinses in the river. Once the washing is complete, she lays the clothes flat on the stone in the hot sun…about ten garments stretch across these rocks, drying in the mid-day sunlight. I make it onto the dirt road just below a hill leading high up into the mountains surrounding the valley. At the end of the road (maybe 100 yards or so) is a small parking area near the metal gate separating the road from the temple. The gate, no more than 5 feet high opens into the grounds with a guard and monk standing close by. We cross through the gate and emerge in front of the first building of Kurje Lhakang. To the right, a cliff face rises about 30 feet or so above the ground level and its rocky face is covered in moss and vines. As we walk around the building toward the stairs leading into the main shrine rooms of the temple, you can tell that the temple covers the cliff face, sealing off the outside world with an inner world of shrine rooms and caves. This building, constructed in the distant past (about 1200 years ago), seals off a series of caves in the wall of the cliff. It is this building and the shrine room associated with it that is our goal. The stairs leading up to the temple zig zag between two distinct temples….on the right is the temple surrounding the cave, and the left a sign clearly says “Guru Rimpoche Footprint”. We climb up the stairs and head to the temple on the right. After two flights of steps, we walk to a landing with a doorway that enters into a darkened hall. To the left, at our feet, is an opening in the wall about three feet tall and maybe two feet wide. The floor inside this small opening is dirt and curves around a column inside the wall. Namgay, our guide, asks if we want to crawl through the small opening and through a tight cave. After passing through, we will receive a kind of blessing from the Guru and receive a ritual purification. We all agree to pass through. One by one we get down on hands and knees….the dirt is a light brown color, kind of a tan, and the dirt is a fine powder. Some if us laugh at the experience, some of us take it very seriously. We crawl on hands and knees through the opening….me, at over 6 feet, struggle to wriggle through the tiny space…..once inside the doorway, the cave makes a sharp left turn….I can feel dirt, sand, and rock on the floor of the cave and the cool feeling of the rock wall as it rubs my shoulder on the right….I bend my body down, almost flat on the floor, to make the turn….as soon as I come around, I can see the light of the exit, just a couple of feet away….it’s remarkable how dark the cave is when the light is so close! I wiggle my way up and out of the opening…not so graceful, but feeling a sense of accomplishment. From there we head up another flight of stairs and into the shrine room of the meditation cave for Padmasambhava. As I part the curtain that separates the shrine from the outside world, a glass encased series of sculptures, statues, and offerings sit behind the glass….just behind those statues you can see the rock wall, very dimly lit in this room. I cross in front of the alter that sits in front of the glass enclosed cave, and see, on the far side of the room, the cave Padmasambhava meditated in. I am struck by how small the space really is, and imagine that Padmasambhava was about 5’ 5” tall, or so….the cave has a distinct floor and ceiling. At the time he arrived here, the cave sat maybe 20 feet above the valley floor…..I am imagine he climbed up to this spot, capable of seeing the valley in front of him, across a grassy field, probably with a few animals grazing in the distance. In the winter, this cave must have been a chilly place to sit, as Bumthang sits relatively high in elevation and receives a decent amount of snow during the winter. Similarly, this cave would have been visible from across the valley as he sat in calm abiding. Certainly people who lived here would have known of his presence and more than likely brought him offerings of food and clothing for his stay. With all of these thoughts in mind, I find a place to sit in the far corner of the room. Near me is a local resident of Bumthang, sitting under a exterior window near the lama’s seat, chanting a mantra and moving beads in his hands. He is fully clothed, from head to toe, with only his head and hands showing. He glances gently my way. I immediately reach a state of stillness and begin a short meditation, legs crossed, sitting on polished wooden floor boards hewn and hand cut. Over the years these boards have been polished with an animal fur pad that attaches to your feet, the pads sitting next to the entrance of the room. The stillness permeates the space and the quiet chanting completely fills the silence in the room. A moment later (maybe two), students file in, silently, and find a spot to sit. Across from us sits Namgay….as we rest, silently for a few moments, he talks about the importance of this place. He tells the story of Padmasambhava and his travels to Bhutan. We all listen carefully and I can tell the students are very attentive with a kind of heightened awareness. These moments happen consistently in these sacred places, and I am so impressed by the respectful nature of the students as they listen intently. Soon enough, we rise and slowly leave the room…. Bringing back an experience, ideas, and understanding from a place like Bhutan requires, I think, more than just a casual tour. While we can all be affected and transformed by short term or limited experiences, there is something to be said for visiting a place repeatedly. As I have mentioned before, people have asked me, again and again, why I choose to travel to the same places year after year? 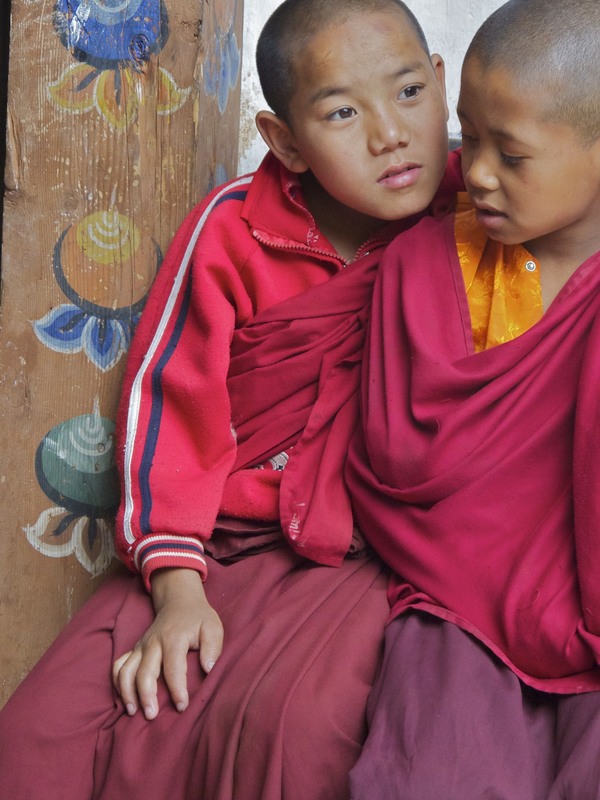 Why do I return (with students and on my own) to Bhutan? Let me start with a description of the philosophical underpinnings of my approach to travel and then talk more specifically about Bhutan. When I first started taking international trips with students, my goal was to offer students an experience that was deep rather than broad. So, for example, in traveling to China, I wanted students to spend more time in a few places rather than go many places in a short time. That approach, depth over breadth, is the same approach I use in classes. That learning more about a little is fundamentally better that learning a little about a lot. This approach runs contrary to the whole idea that knowledge is about knowing more….the more you know, the more intelligent you are, the more conversant you are in the world, and that the knowledge you have makes for great conversation and promotes intellectualism both in academic settings and in the world. The thing is, more knowledge does not mean more understanding of the world or better interactions with people and communities. (We can debate this point, if you like.) Similarly, traveling to a place in the world and learning about the people, culture, and history and establishing a relationship in that place offers the traveler something more than a sightseeing tour. The question you might be asking is, how do you choose such a place? What do you look for or what are you, as the traveler, hoping to reveal in yourself? In travel for me and for my students, I was looking for a complete experience with the fewest number of distractions. For example, my travels in China were wonderful and we enjoyed visiting the people and places. At the same time, students were captivated by shopping in some of the largest cities in the world. Nothing wrong with finding a bargain or grabbing a trinket for folks at home (or yourself) and, I found that the focus for some folks was on getting some material object as a token of travel. In a place like Bhutan, the experience is the token. 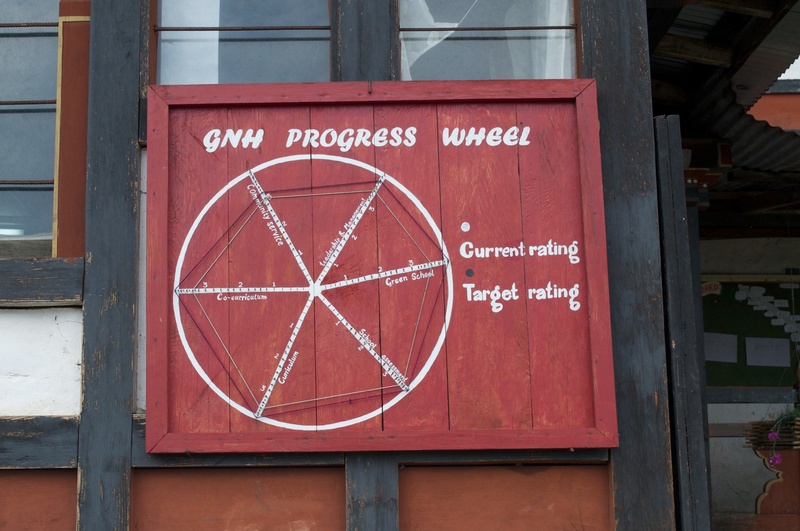 While anyone can find something to buy in Bhutan, what I designed was an experience that focused on people and place. Materialism, so far, is not the single motivating factor in Bhutanese society, IMHO. As a result, student experiences are based more closely on cultural interactions. Those kinds of experiences, I argue, help bring about internal reflection….that being in Bhutan allows for some powerful insights on what we do and who we are. Meeting Bhutanese families really has reshaped student (and my) understanding of the world. Of course this process can happen in other places and among people in many parts of the world. Bhutan, for me, is a place that offers that unique experience. So what is IT about Bhutan. First and foremost, the fact that this country is the last of the Vajrayana kingdoms in existence makes the place, people, and society something unique in the world. Further, the fourth king, Jigme Singye Wangchuck, created and expressed the idea of GNH, Gross National Happiness, in 1972. His idea was to create an economy that honored Bhutanese culture and Buddhist philosophy. The combination of these two aspects of Bhutanese society offer visitors and glimpse into an alternative way of seeing the world and our place in it. The combination of Buddhism and GNH makes for the kinds of interactions with folks in Bhutan that are memorable. Maybe the experiences I (and students) have had and the impact of those experiences is based on the very structure of Bhutanese society. That, of course, brings us back to Padmasambhava. If we can attribute some of the structural systems in Bhutan to Padmasambhava, then his influence has shaped my experiences some 1200 years later. Finally, a number of students have traveled to Bhutan with me more than once. Some have been profoundly affected by the people and place. Other students are planning return trips on their own. From my perspective, those students are representative of the impact Bhutan has on one’s life. Now, if you are parsing my writing, you will realize that I made a circular argument….that’s not by accident. I come back to Padmasambhava because I see some of what he (and his students) accomplished in Bhutan and elsewhere as a fundamental piece of why Bhutan represents a unique place in the world. My next post will open the conversation about my perspective on Bhutan amounting to a kind of hagiography: a representation that makes Bhutan seem to be better than it really is…is Bhutan real? I left off with the question about my ignorance, lack of understanding, or my romantic view of the world that is represented in and by Bhutan. I fully own that part of myself that sees Bhutan and the cultural space the people and country represent as a kind of romanticized place. Much of my understanding, prior to my travels to the country, is based on similarly romanticized views from a variety of writers who came to the Land of the Thunder Dragon and took away from the visit a sense that the people who live in this place are, somehow, closer to enlightenment or have an innate understanding of human existence that most of us lack. Given that I am lost in a kind of fog in thoughts of my own making, I have experiences both in and out of the country that do not, necessarily, fit into the context of romanticism. What about that “woo woo” feeling? Is there something to the idea that the society introduced by Padmsambhava does, in fact, affect the people who visit this country and that the experience stays with the traveler long after that visit? To answer those questions, I will describe what the experience is like after I depart Bhutan and return to the U.S.
A brief aside: on any number of other travels to China, Japan, Canada, Mexico, or elsewhere, I have not returned with a similar experience from the ones I bring home from Bhutan. 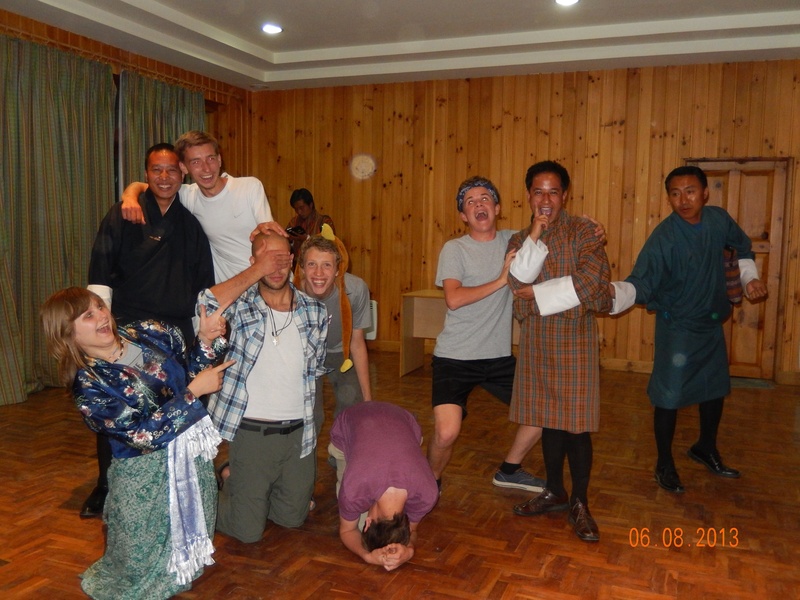 Briefly, my Bhutan experience is different from all other travel experiences I have had. I think you will have to trust me on that one…I’m pretty sure nothing I can say could ever really convince anyone that my Bhutan experience is, definitively different. On my most recent trip to Bhutan (July 2016) I experienced a few differences from previous trips based on a number of factors unique to my own emotional and physical experience; AND what I brought back was an abiding calm that permeated my mind. For those who have experienced this sensation, it’s very similar to the moment just after meditation or deep prayer in which your mind is quiet, still, and open. In addition, I noticed, when I returned home, that the muscles in my cheekbones were sore. As my wild mind is want to do, I searched for some explanation; what had happened to me? Did I have a fever? Was I sick? Was this part of an allergy attack? Of course, the muscles in my face were sore BECAUSE I had been smiling so much! Seriously. I was, fundamentally, happier than I had been in months and months. What I brought back from Bhutan was a small piece of happiness. Not the giddy happiness that comes from playing or even watching a game, and not the happiness that comes from meeting new friends or even being with your child when they have a wonderful experience. All of those forms of happiness are equally wonderful. What I brought back from Bhutan is what I would call an inner happiness…one that stays in mind. Of course, even that form of happiness fades as time goes by. The echoes of the experience, however, remain as a kind of beacon or benchmark or bookmark on my mind. This happiness is renewed and strengthened by my return visits to the country. My travels to Bhutan have been facilitated and organized by my friend and companion on these trips, Namgay. Bhutan requires a travel guide for all visits to the country for most people in the world. This system of pairing a company and guide with travelers is wonderful in that the country guarantees a quality experience for all visitors (ideally of course). I met Namgay on my first visit to the country, in 2010. He was the first Bhutanese person I got to know. I’m not really a believer in fate or destiny, but I do believe in karma and the laws of cause and effect: meeting Namgay and becoming a friend of his (and his family) is a connection in the world that I value and really treasure. Namgay with “the crew”. Namgay in the “fancy” gho on the right being mauled. Namgay has, without question, gently revealed his experiences and life to me (and to students and parents that have traveled with me) in a way that is remarkable and revealing as a glimpse at his life in his hometown. Those insights have really opened my understanding of real life in Bhutan…I say real because life in small, agricultural towns, across the globe, has distinct similarities and having grown up in a small town, I can understand much of what Namgay’s life was like. Our travels across Bhutan together have been among the most valuable experiences of my life. Namgay’s stories of people and events are engaging and he has a real grasp of the complexity of some of the events that formed the modern Bhutanese state. More importantly, aside from basic cultural and historical knowledge related to Bhutanese history, Namgay imparts personal knowledge of his own past. The quality of his stories and his perspective on both past and present Bhutan is so much a part of what I now understand about the country. Now maybe I have strayed, a bit, from my tale of why I come home with a carried over experience, and why Bhutan and the people I have met in Bhutan have imparted that feeling, notion, thought in me without me really knowing it. I have more than a few thoughts about that and I will explain those thoughts by focusing on one experience in particular. 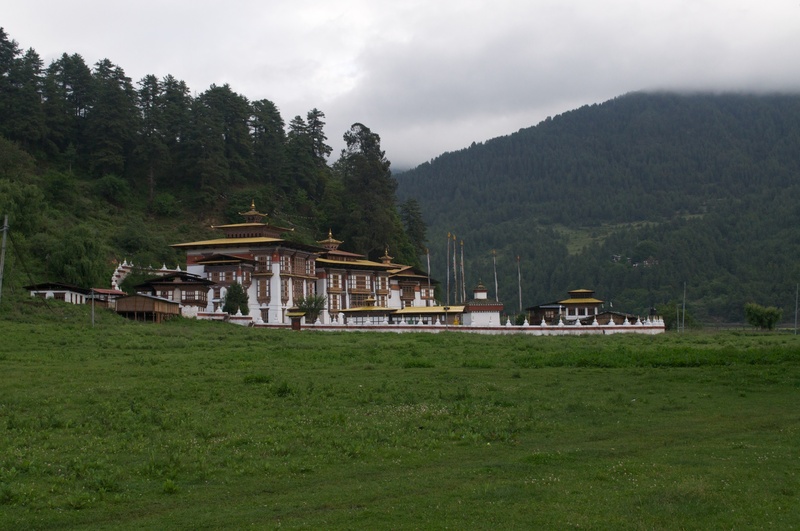 In the heart of Bumthang are a number of very important temples. One of them is among the oldest temples in the country, Kurje Lhakhang (early 8th century), was the site of Padmasambhava’s meditation in a cave above a river. Kurje, Ku (body), je (imprint), represents the place where Padmasambhava’s body, literally, made an imprint into the stone of the cave. The temple surrounds this sacred site and protects the cave. Kurjey Temple….the site of Padmasambhava’s meditation. During my second trip to Bhutan, I entered the room before the rest of the group and grabbed a seat in the far corner of this dimly lit shrine room. In front of me, behind glass, was a clear view of the cave and a statue of Padmasambhava. Sitting on a cushion behind me under a window was a local person chanting a mantra, moving his prayer beads. I sat there for a few minutes and began my meditation practice. For those of you who meditate or pray fervently, you understand that when one first sits to meditation or pray, it takes a few minutes to get started. Here, in this shrine room, when I began my meditation I was instantly in it. Still, quiet mind. I usually have to follow my breath to get into the practice, but on this occasion, I was there, immediately. The experience was striking. Students wandered in with Namgay and sat around me….I stayed, in silence, right there. Awake and aware. See, I told you there was a woo woo moment. Now, Buddhist teachers have said that being in a sacred place allows one’s mind to focus attention on the main practice. I imagine visiting a cathedral in France or Italy, or visiting a sacred site like Chaco Canyon might have the same effect. That feeling and mental stillness stayed with me for days after, and I was able to call it to mind when I was back in Albuquerque. Does a place, a physical construct, have the ability to impart knowledge? As some teachers have said, to impart merit to the person in the temple simply because that person is in a place where Padmasambhava meditated? Of course, I cannot answer that question for you, but I can answer the question for myself. Yes. Something is transmitted by being in that space. You could argue that it was always in my mind (I might call that my true nature) or that the romanticism I mentioned before is the source for all of these so-called feelings. I’ve got a bit more to say (actually a lot) and it’s getting late here…more in the next post.